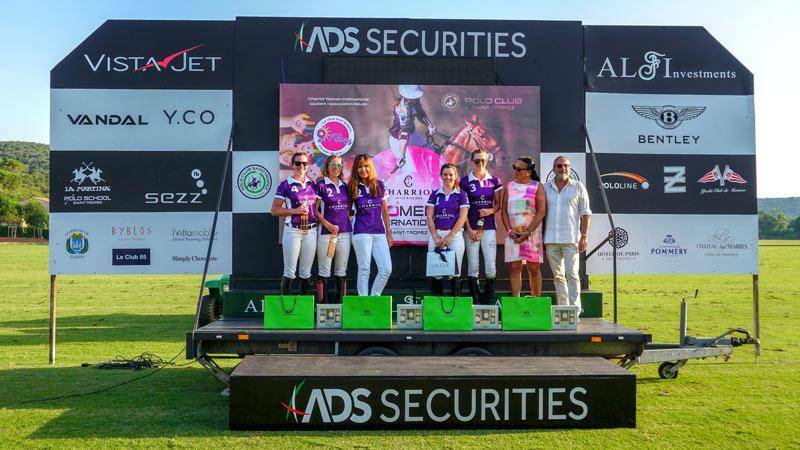 On Sunday 1st July, located at the Polo Club in Saint-Tropez, the finals of the fourth tournament of the 2018 “Charriol Womens International” season were held. 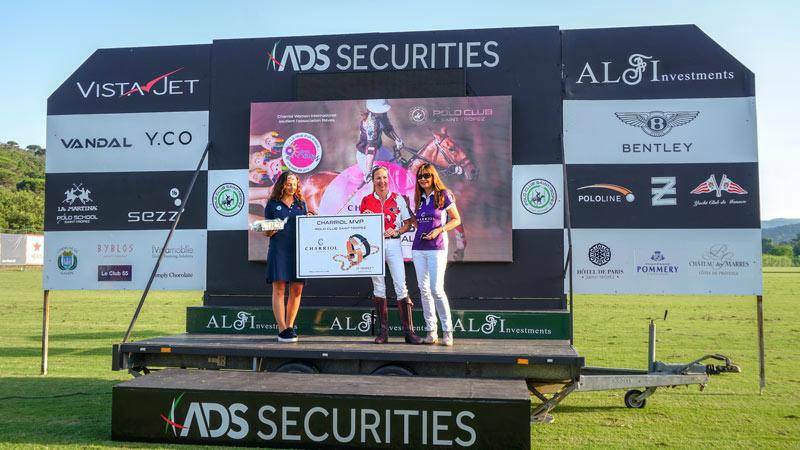 During the rendezvous, CHARRIOL supported the charity association “RÊVES” which aims to achieve the dreams of seriously ill children. 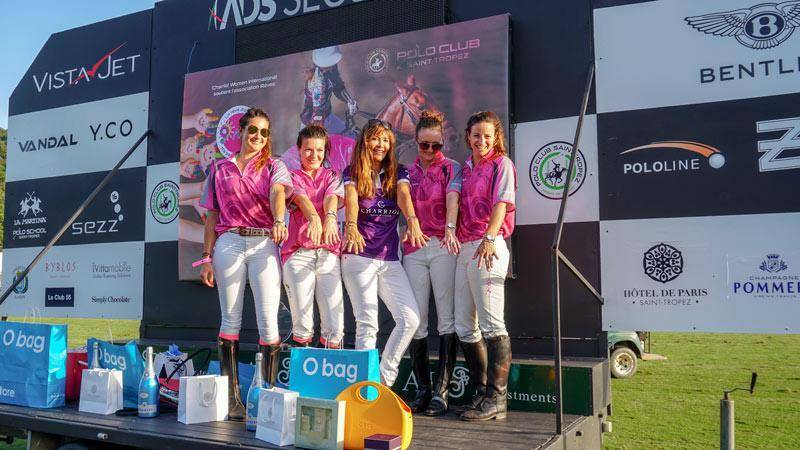 The luxury house has been present in the world of polo for more than 20 years, but Marie-Olga Charriol, director of public relations, has for six years now initiated this concept of 100% feminine polo which she named “Ladies Charriol Polo Cup”. 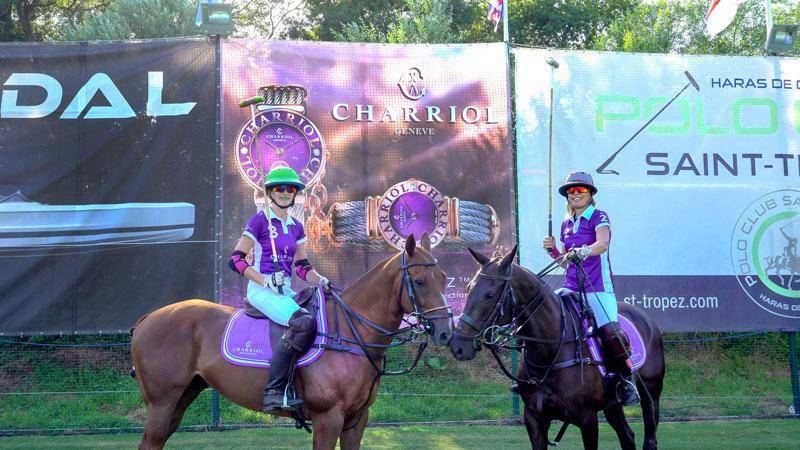 The “La Bandada” team won the “Charriol Womens International” award in this final, followed by “Matryoshka” “Dark Ice” and “Charriol”. 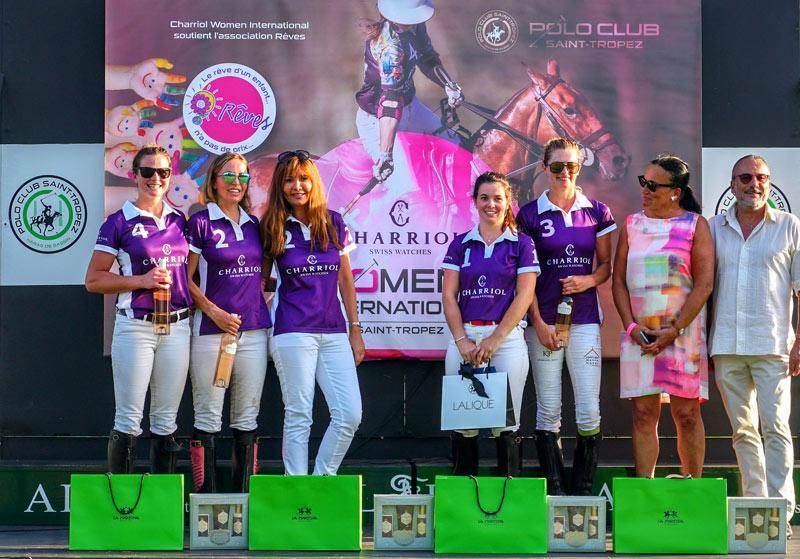 As promised, each player received a watch from the Saint-Tropez collection, the best seller of the brand, which was offered at it birthplace, by Marie-Olga Charriol. During the gala evening, pretty tables with color of the house: plum, were set up to welcome the journalists and the many friends of the brand. It is in a “Street Art” atmosphere that the 150 vips were able to enjoy the show of Hip Hop dancers, on the terraces of the restaurant 1999, of the Polo Club of Saint-Tropez. 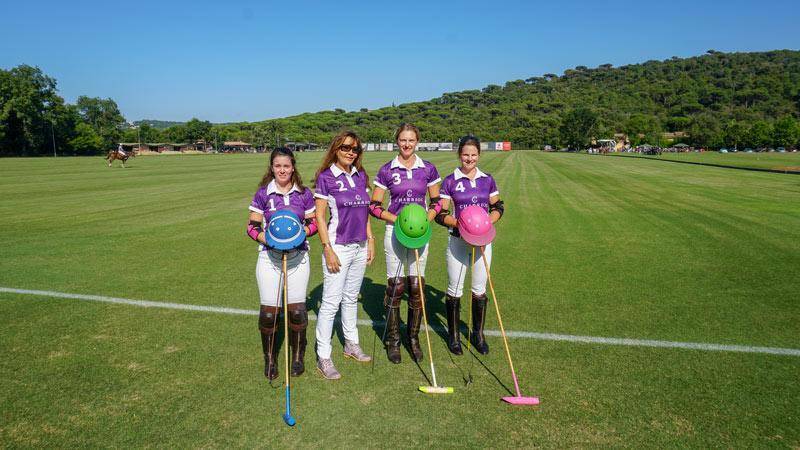 Meanwhile, the company Medlakolor has made a live canvas depicting the spirit of women’s polo in Saint Tropez, whose profits were entirely donated to the association “RÊVES” who was able to accomplish his mission brilliantly. Thanks to the auction of the painting it has indeed been able to raise a nice sum to fulfill the dream of a sick child. This day was therefore a victory for everyone. 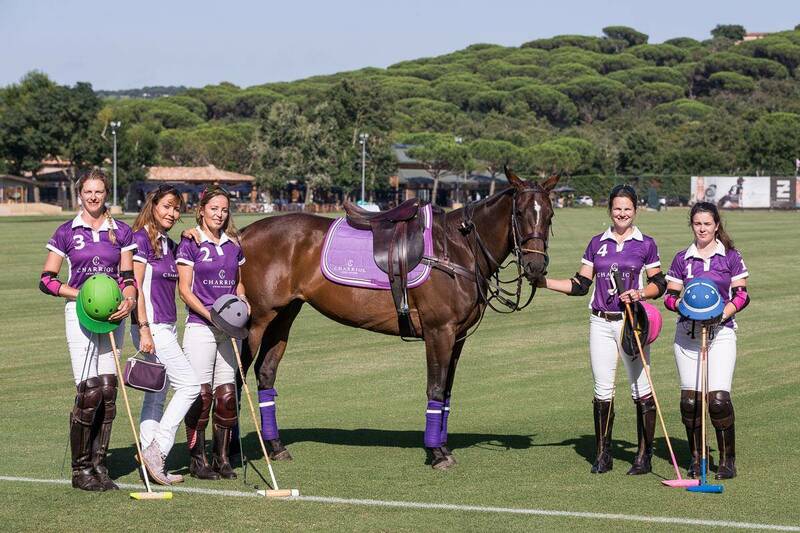 CHARRIOL is very honored to have been able to participate, once again, in a polo match in Saint-Tropez, a mythical place on the French Riviera. 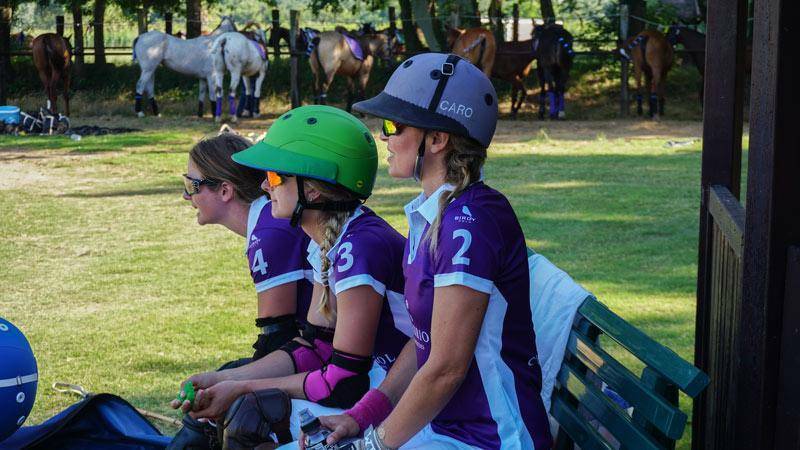 And it is in Geneva on September 2nd, that the next edition of “Ladies” will take place.